Let's talk essential oils. I'm definitely not a complete stranger to them. We use products that contain essential oils, especially on and around Ethan, and I've frequently used them in spray form. What I am a complete stranger to would be burning essential oils instead of just spritzing them and I have to say, it's way more amazing. When I was contacted by Swiss Just to do a review of some of their essential oils, I was excited. As I mentioned, I'm a big fan of essential oils and was definitely intrigued to see how burning them compared to just spritzing or enjoying their goodness through soaps, washes and lotions. I was pleasantly surprised. I am a complete believer in essential oils and what they can do for you. You know who isn't? My husband. When he had trouble sleeping a few years ago and I spritzed his pillow with essential oils in order to do the trick, he thought I was certifiable. You know, the whole "waste of time, waste of money" schpiel. He's a skeptic when it comes just about everything, so my biggest point in this whole review is that my husband probably loves these Swiss Just essential oils more than I do. He's currently laying on the couch, sprawled out in a pure state of relaxation and emotional clarity, too relaxed to even go make us some popcorn. "Write that in your blog," he requested -- so I am. Congratulations, Swiss Just, you've just convinced the biggest skeptic in all things holistic and natural -- my dear, darling husband -- that essential oils work and they are awesome. Here's how it works: You fill the top of the burner with some water and add a few drops of the essential oils into the water. Light the tealight candle and give it about five seconds before you start to smell and feel the magic of your essential oils at work! 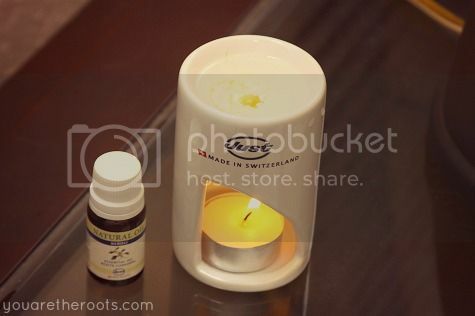 Swiss Just had sent me a travel warmer (pictured here) and two essential oils to review. One was Geranium, which is known as the perfect essential oil for women of all ages. It helps to balance out unexpected mood swings and create an overall sense of peace and serenity. (Apparently, it works on husbands, too!) The other was Neroli, which is supposed to awake your senses and your heart with hope and the desire to dream and explore. (Heavenly, right?) It leads you onto the pathway for positive energy and a renewed self-confidence. The Neroli is my favorite because I feel like for me, it does just that: helps me to regain confidence and fill myself with the positive energy I need when I'm feeling kind of defeated and overwhelmed in my daily life. I was starting to feel a little stressed and frazzled and all it took was burning some of our Neroli essential oil to sort of refocus and relax me and make me feel confident in all of the endeavors I've got my hands in. Burning essential oils is absolutely nothing like burning a candle, let's be frank. Most candles and perfumes give me splitting migraines, so I stay away from artificial fragrances as often as possible. 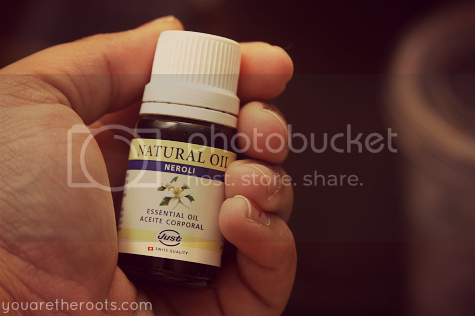 Essential oils aren't just something that smell good (though most smell beautifully! ), but that do good for you as well. Essential oils are great for your mind and body and a natural, sweet smelling cure for emotional and physical issues that plague you or areas in your life you just need a little work on. Life is tough. It's stressful. Sometimes we feel sad or stressed or sore or just can't get to sleep or figure out how to relax or even get motivated. Essential oils are awesome and versatile. You can use them in baths, as a compress, you can burn them, you can use carrier oils for body massage. Lemon essential oils can be a wonderful insect repellent or a natural way to remove gross spills and messes. You can also take comfort in knowing that Swiss Just's essential oils are of extremely high quality: they are preservative free and 100% pure, all complying with the FDA's guidelines and all cruelty-free, too. We love these Swiss Just essential oils (and are totally hooked on them, too!). Be sure to take a peek at Swiss Just's catalog to read more about their products, which include hand creams, sprays, bath products and all of the natural, essential oils you can dream of! Be sure to check out their website as well to learn more about Swiss Just as a company and all of their wonderful products -- you can even search by need, depending on what you need some essential oils for in your life at the moment! It's rare that I find natural products that my husband is 100% on board with, too, so that speaks volumes to me about the quality of Swiss Just's essential oils. If he wasn't fast asleep on the couch next to me (let's hear him argue the power of essential oils now! ), I think he'd agree that Swiss Just's products would make some great gifts for the holiday season. To find a consultant near you, just e-mail info@swissjust.net or call 1-800-516-9691. 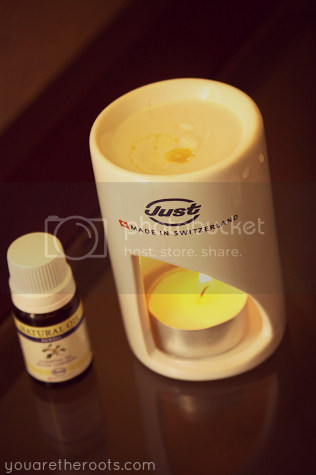 WANT TO WIN AN ESSENTIAL OIL AND OIL BURNER? The awesome people over at Swiss Just are giving you that opportunity! One lucky winner will be able to win a Geranium essential oil and travel-sized oil burner and another will be able to win a Neroli essential oil and travel-sized oil burner! This giveaway is open to US residents and runs until November 17th, 2012. The Body Shop has a similar product but I can't be sure that theirs is 100% environmentally safe. Both fragrances you mentioned sound amazing! I'd love to try them both out! I'd love to also try the Chamomile Hand Cream! I absolutely love essential oils, as I also like to make my own potpourri with my own roses and other flowers I dry, so I would love to try ALL of their essential oils. 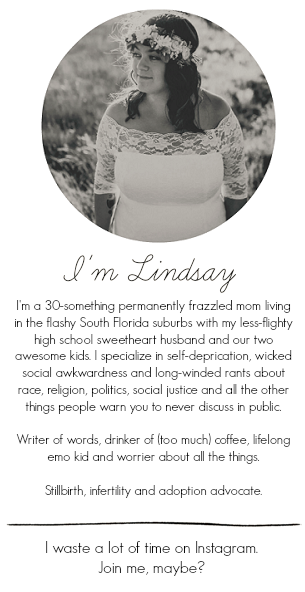 I couldn't get the last 10 entries because I don't have a blog! I'd like to try the Body Balm. I would like to try the Anti Stress oils! I am a SwissJust independent consultant. I use this products since 1996, when I was living in Argentina. I am from Chihuahua Mx. and my mom always used natural remedies that she learned from the Tarahumara Indians. That's why I love every thing that is natural. I'm almost 50 yrs old and Thanks God and what He did in the nature, at home we don't use medicine, only essential oil. I recommend this products a lot, they are the best in quality; just a drop is filled of energy and help us improve our immune system. This is my website ( in case that you don't have a consultant) where you can have more information, buy or become a consultant.